Pretty as a picture, but with a 65 foot long mast, this Hanse 415 needed kid gloves and a lot of TLC from our staff, and her new owners. They were so pleased to have her arrive looking as good as new – cuz she was! Their communication before, during and after was excellent and the pick up and transport went as seamless as we had hoped for. 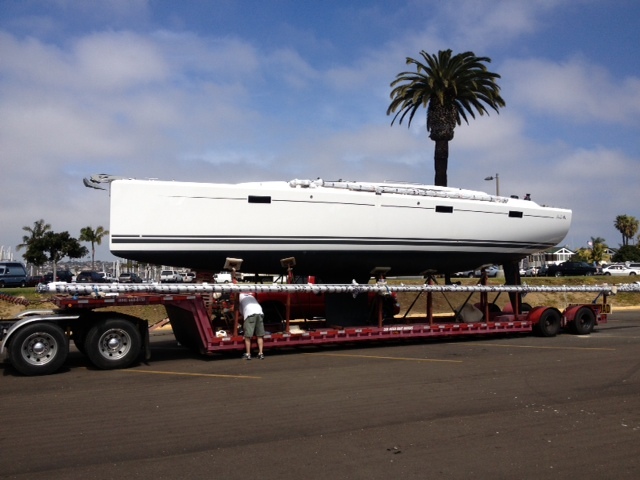 I would recommend them to anyone looking to transport a boat long distance!